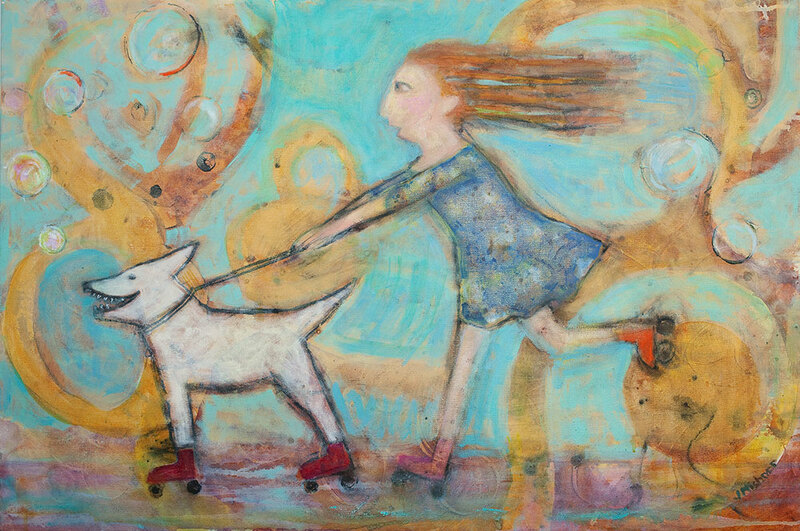 Art Uptown artist Janet Mishner uses mixed media in her new series, Red Bird and Friends. There is a public opening reception on Friday, January 5, from 6 to 9 pm. Mishner’s work refers to more creatures than just the red bird, whose “friends” include dogs and other animals that also represent spiritual connections. The effect of this, in Mishner’s capable hands, is an uplifting celebration of all that endures and connects us to others. Gallery Hours: Monday-Thursday, 11-5, Friday 11-9, Saturday 11-5, and Sunday 12-5.